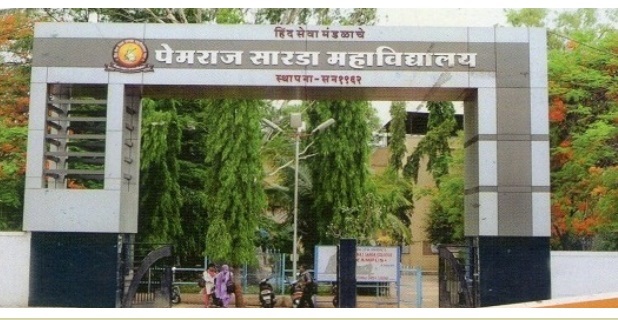 Pemraj Sarda College is one of the famous colleges in the Ahmednagar district and is established by Hind Seva Mandal in 1962.The foundation stone was laid by our late Prime Minister Pt. Jawaharlal Nehru. Hind Seva Mandal was established in 1922 with the aim of propagation of education in the Ahmednnagar district. The workers of the institution were the common people of middle class society without any political or economical support, but they had the ambition, will power and sustained efforts to build up the society and consequently the nation for over all upliftment. They were influenced by the images of the great revolutionaries and freedom fighters like Lokmanya Tilak, Mahtma Gandhi and Vir.Savarkar. The activists like Senapati Bapat, Raosaheb Patwardhan, Nanasaheb Nisal etc. gave leadership to this prosperous institution. It is now running 32 different schools, colleges and workshops in the Ahmednagar district. Electricity & Fan Available in each class. Spacious Computer Lab, broadband Internet with 24 hours Electricity. Addresss : Hind Seva Mandal, Borkar Nagar, Nagar-Savedi Road, Ahmednagar 414001.